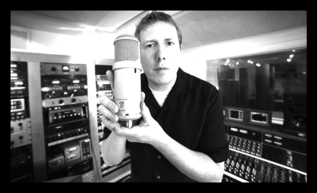 Darrell Thorp is a Seven-Time Grammy Award Winning (OutKast, Radiohead, Switchfoot, Molotov, Beck) Producer, Mixer and Engineer with over 18-years of experience under his belt and many multi-platinum records to his discography. After finishing 4 years of service in the U.S. Navy, he moved to Los Angeles in 1997 and started interning at smaller studios where he eventually worked his way up to an Assistant Engineer at some of L.A.’s prestigious studios such as Track Record, Conway, and finally, Ocean Way Recording. It was at Ocean Way Recording that Darrell met famed Radiohead producer, Nigel Godrich. Shortly after meeting Godrich, Darrell became his full time engineer and ended up recording Beck “Sea Change”, Radiohead “Hail to The Thief”, Paul McCartney’s “Chaos and Creation In The Back Yard” and many others. Currently, Darrell is splitting his time between Producing and Mixing various records and last year had the pleasure of being the principle recording engineer on Beck’s “Morning Phase” which granted him 3 additional Grammys for Best Engineered Album, Rock Album of the Year, and Album of the Year. © Darrell Thorp 2015. All Rights Reserved.